I am declared to run in the 2016 election as a Republican Candidate for the United States Senate. I am a Family Man, Conservative, Small Business Owner, United States Military Veteran, Native born Californian, and fighting hard to be your next U.S. Senator. I will work hard to do the job for the citizens of California and the United States of America. I want to bring you Less Government, Less Regulations, Less Taxes, Less Spending and straight talk! Disrespect, Violence, and Death is in our society, unfortunately there is too much anger and hate which is being taught to the children in America in many different venues. I will work hard to promote an agenda for our citizens of America to get back on track with traditional family values that teaches respect self and others, love, and protect life. Our kids deserve the best education about ways that make them think, learn, and believe in how to be good citizens and given back to society with values and morals that achieve greatness for themselves, family, neighbors, and Americans. We will fight for: Marriage between one man and one woman! Less Taxes means more money in the pockets of taxpayers! People needs job and they need them now! Water is Life, we deserve to have all water needs met! The people of California deserve fresh water delivered to the homes, businesses, and farms. The Republican elected leaders have tried for years to build new water storage facilities for Californians to help during drought conditions and to give water users a stable and safe water supply. The Democrats leadership on the other hand have blocked or kept away from helping build new water storage. This is the disaster that is costing all of us during these times. I urge all voters to remember this economic and social disaster the Democratic leadership have cost us. Less gas prices means the quality of life gets better for everyone! Government needs to serve us not the other way around! Corruption must be stopped in City, State, and Federal Government. If I am elected to represent you in the United States Senate representing California, then I will work on legislation to put grave penalties on representatives, who are supposed to be working for the people, and not getting rich for being in those political positions. Help people buy homes is a great investment for all Californians! There are too many regulations and laws against the people, so we must reduce regulations and laws against the people, and put rules and laws against the government officials! Better Government means less and more responsive to the needs of the people! When was the last time a United States Senator from California advocated for the Agriculture Industry, Small Businesses, Family Owned businesses, and less regulations on those businesses. Support and follow the Bill of Rights, the United States Constitution, state rights and people rights! Safe and secure California supporting our armed forces, veterans and law enforcement! Education is our freedom and freedom should be everyone's business supporting less class sizes, tutors for the students who need them, and resources to make education number one in the nation! And Make and enhance tourism opportunities for the California! 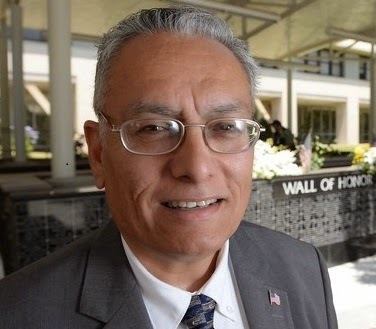 It's a new era and California Republicans can win big with a Conservative Mexican America who as business experience, military service, and the desire to win. In the United States Navy we believe in a truth: "Never give up on your ship!" The Democrats philosophy is to make their voters believe that big government is best for them. To make them believe they can't live without big governments help. The Democrat Party gives their followers a fantasy that the rich doesn't do their fair share and they need to do more. And the people need big government because they can't do it for themselves. My take on it and to my fellow Americans freedom, liberty, and self–determination is the foundation to give you the power to do what you want to do. God has given you talents, abilities, and life to make great things happen for you and your family. All you have to do is start now and not wait for big government to trade your God given rights for more of the same and the status quo. I am asking for your support because we cannot wait for tomorrow to solve problems we need to get it done now! The career politicians don’t want to risk their position or take risks because their job is better for them, then to do the job for you! God Bless this journey and destination.